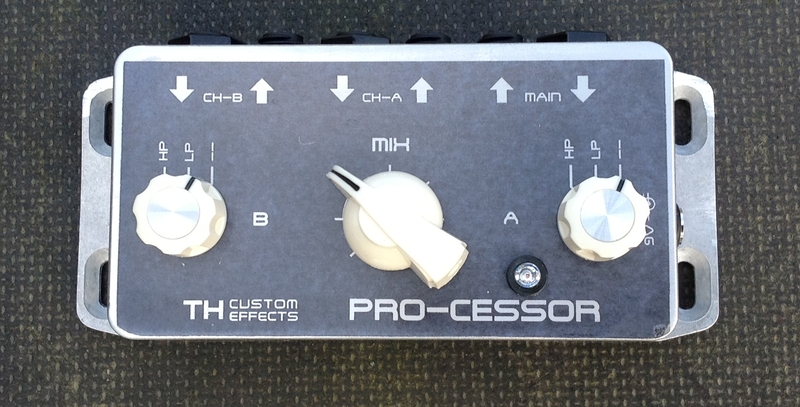 This is version 4.2 of the Pro-cessor. V3.0 version (no board mounted jacks) is back in stock for everyone who wants to do his own wiring! 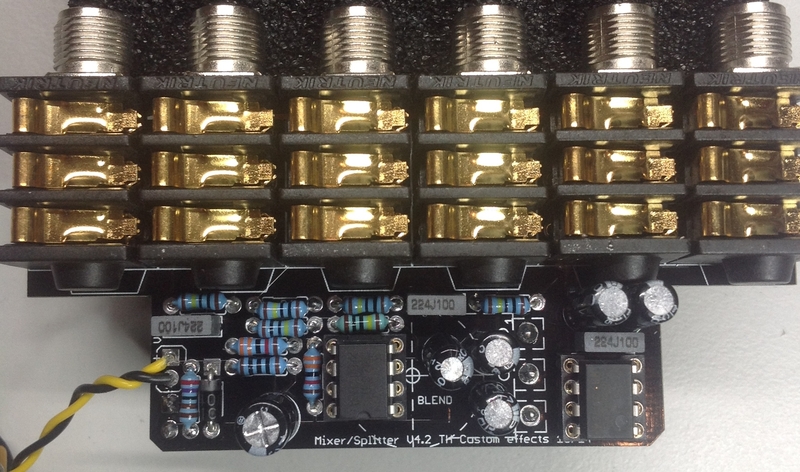 V4.0 features everything board mounted fitting in a 1590B enclosure. It is recommended to use a 125B for easier fitting of the jacks. V4.1 with on-on-on switches will ONLY fit a 125B! V4.2 has a even smaller footprint with cutouts at the side. 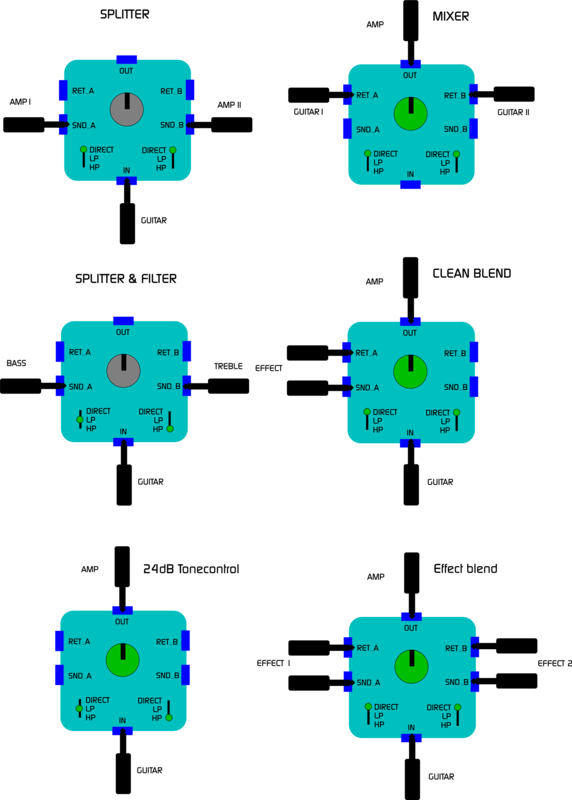 There is also a version without filters called Mixer/Splitter V4.2. Due to popular demand the V3-version is back again! Its the version without board mounted jacks!